I have been inspected by Birmingham Animal Welfare and now hold a home boarding establishment license. I have public liability insurance, a clear police check and have taken an animal first aid course. In 2016, I gave my notice in at the school I had worked in for over 10 years to follow my dreams of working with animals. I have experience of looking after dogs in my home as I used to foster dogs for the RSPCA. I'm now working full time as a home dog boarder and dog walker, this means I'll be at home all day to give your dogs all the fuss, cuddles, loves and lovely long walks they are used to and deserve. I update owners with photos and videos of their dogs having a fantastic holiday of their own either on my Doggy B&B with Natalie facebook page or text / whattsapp. You're more than welcome to pop round with your dog to meet me. I set up familiarisation sessions for dogs who are due to board together. Owners consent will be required. I live in Stirchley, and have a large, secure garden in South Birmingham. In the warmer weather, my conservatory doors are open for dogs to go in and out of the garden as they choose to. The dogs boarding with me are treated like they're my own. We'll go on lovely walks, I also have business insurance for my car so dogs can legally travel with me in my car and go further afield for more adventures and walks When we get home, dogs are more than welcome to cuddle up to me on the sofa if they choose to do so or sit on my armchair in the window and watch the world go by. There are some lovely areas to walk dogs where I live, nature reserves, parks, riverside walks and woodlands. Your dog will have a lovely time exploring. I have dog tags with my contact details on for your dog to wear, therefore, in the unlikely event your dog becomes separated from me, I will be contactable and reunited quickly. All exercise is done on lead, please feel free to bring an extendable lead. I require your dogs vaccinations to be up to date and administered at least 4 weeks before they are due to board. Their vaccination card will stay with the dog during it's stay with me. Due to Birmingham health and welfare's licence conditions, dogs have to be over 6 months of age. I am also registered with a veterinary surgery. £30 a day. 50% discount for additional dogs. I can also offer a collect and return service for an additional charge. Dog walking and a pet visiting service also available. If you'd like to arrange to pop round with your dog to meet me, you're more than welcome to call me on 07703358990 to arrange a convenient time. Being a Veterinary Nurse, I am extremely protective over my fur babies, and was petrified of leaving them in kennels whilst we went away (my first holiday without my dogs in 7 years) Luckily I found Natalie who welcomed my babies with open arms and treated them as if they were her own. With daily video updates and messages of reassurance, I've never been so relaxed and confident leaving my dogs with someone whilst we went away. I can now actually look forward to my next holiday knowing that with Natalie they are in safe hands. Thanks again! 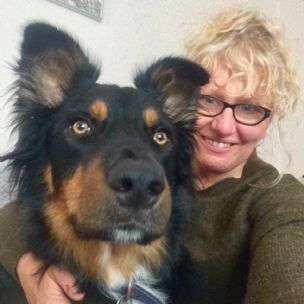 Natalie is a very professional dog sitter lots of photos and videos sent daily , her whole family seem to love having the dogs around . Thank you to Natalie for looking after Bobby while we went away, was very nervous to leave him as never done it before but from the moment we left him Natalie sent plenty of photos and videos of Bobby and Millie having the best time together, he loved having his little girlfriend for the week! Would recommend her and definitely use her again! We contacted Natalie thanks to a recommendation from a friend. She was absolutely fabulous with our dog who I know can be hard work sometimes. She sent us videos every day and communication was great. I wouldn't hesitate in recommending Natalie. Can't thank Natalie enough for looking after Charlie overnight. He had a warm welcome from Natalie and Millie and Charlie already seemed settled when we left him which is most unusual. We were able to relax while we were away as we were kept updated with pics & videos of Charlie having fun. We will definitely take Charlie to stay with Natalie and her lovely family again and highly recommend her service. I had to go into hospital for a while and Natalie came to the rescue. My dog, whose name is Luke needed someone to look after him. Although at first he wouldn't settle, it didn't take long for him to realise that he was in a safe and loving place. I would recommend Natalie and her warm and friendly family to anyone looking for that special place to leave their dog. I can't thank her enough. The one to one care, i believe makes all the difference. Thank you Natalie and family for giving Barney a great time while we were in Ireland. It was our first time apart and we were a bit anxious about how heâ€™d be but your regular videos put our minds at rest. He clearly enjoyed himself and settled quickly. Again, many thanks. I cannot recommend Natalie enough! We needed someone to look after our furbaby for a few days while we were away, but was worried how he would be as it would be our first time away from him. Natalie made us feel so at ease, and allowed us to bring Opie to meet her, her family and Millie her pup. She settled any worries we had, and when we left her house, we knew Opie would be in great hands. When we took him for his 3 day break, she made sure that we had regular picture and video updates, and even when Natalie had injured her foot, her main concern was for the dogs. I think secretly Opie was quite sad when we came to collect him after our break away. Of you are looking for a friendly, caring dog lover to take care of your furbabies, then Natalie is your woman. Opies already planning his next visit!!!! I can't recommend Natalie enough! My barneyboo has just come back from a weeks stay and looks like he has had the time of his life. Daily texts and videos soon put my mind at ease as he can be a shy dog especially when meeting other dogs, his confidence has come on so much! You can tell Natalie and her family are real dog lovers and ill definitely be booking up again. Our 18 month Collie x, Ben, stayed with Natalie for a long weekend. She kept us updated with regular photos and texts which we really appreciated. Ben was very relaxed when we went to collect him, we felt reassured that he too had had a great mini holiday! We would be happy to send Ben back to stay with Natalie. my Labrador Hopkins has been with Natalie a few times now and he's not only just staying there, he is part of the family. I trust her completely to take good care of him and that's what you want when you give your dog away. I get regular updates on him via whatsapp which is really nice too. I can truly recommend her. Absolutely fabulous, so kind, Poppy loves her. Poppy's so excited to visit her in July!! Natalie and her family are all lovely and we couldn't have wished for a better dog boarding experience. We were updated via text and Facebook with photographs and we were kept in the loop regarding walks, activities and generally how Daisy was settling in. Our dog has always been very shy, however, with the help of Millie, Natalie's very welcoming family dog, she really came out of her shell and had the best time. You really get the feeling that your dog is treated as part of the family; I would recommend Doggy B&B with Natalie to everyone and I'm sure Daisy will not be a stranger. Well done 10/10. Near to Birmingham airport, Bournville train station, M6 and M42.